Summury: Waste is one of the biggest environmental challenges of our time. We all create waste and need to deal with it in a responsible way. 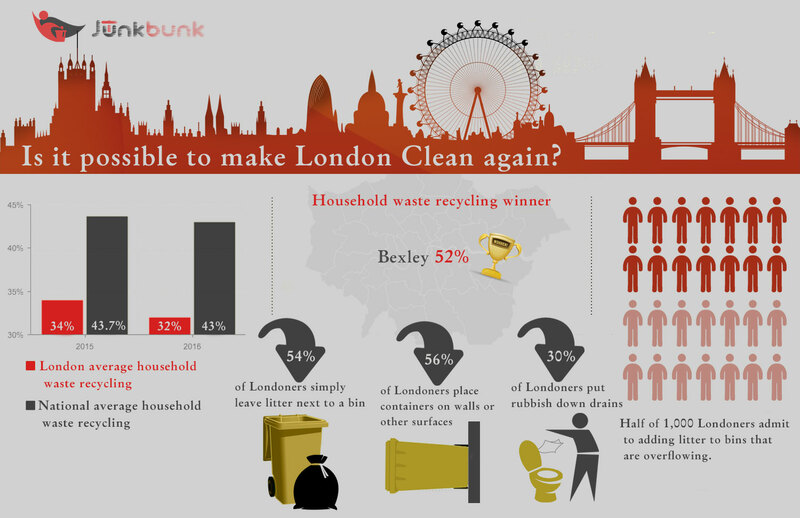 London is among the dirtiest cities in England and that is a frightening fact for too many reasons. It is supposed to be the representative of a nation, yet it is constantly criticised about its handling of household waste. The mayor has come up with a multitude of strategies on how to deal with it all and all of them are directed at statistics that might reach 2020. Currently, the reported number of recycled household waste is about 35% on average. That means that every couple of months every London citizen throws his or her own body weight in waste. With numbers this dire the critical approach would be a bigger focus on recycling. Nowadays rubbish removals seem to be difficult to provide because people are too busy living their lives. They work, then come home and rest. Waste gets taken care of by dumping it for the city collectors who merely take all the rubbish bags to a landfill. And that is not a pretty picture. It’s not only the households that do this to the city. Businesses are getting in the way if clean living as well. They always have bigger items to throw away and lots more of them. Their methods are a bit more professional as the city cannot enter the building to take care of their rubbish, but sometimes they too go overboard and pick needlessly messy strategies, such as using skips. A business will move and leave all its equipment behind because often a new office means new equipment. The old equipment will stay behind and collect dust until the office is rented or bought anew, and then it will all go to a waste heap. When the equipment consists mainly of desks and chairs, that is rarely a problem, but then it also consists of electronic items which do not dissolve very well in landfills and merely cause further pollution. Most companies pick to use a skip for the rubbish removal as it is cheaper than other options, and also simpler. But that raises eyebrows as well if you think about it. If you pay for a skip, you need to pay for a place in the street where to put it. You need to use staff members to get rid of the waste and you might need another skip if the waste is too much for a single go. 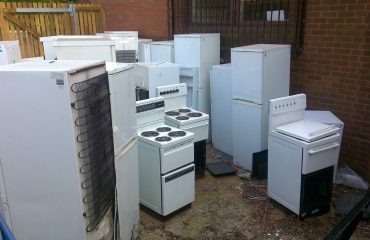 All the while you pay rent for the skip and the city space you are taking up. The much more reasonable option and a possible future solution to the city’s waste problem is the waste clearance company. These unsung heroes come and go, taking all the rubbish with them and taking them to the nearest recycling centre where the actual dealing with the rubbish is done. The service is singular and you know exactly for what you are paying. A bigger focus on these companies might contribute more to the city’s landscape. Sadly, it is up to the individual to take care of London’s cleanliness. Government plans might take years and years for just a few percentage hits, but if more people do something, there will be more results.